The enterprise social revolution is brewing in the enterprise today. Mobile technologies, business velocity, collaborative engagement, advanced analytics, and unified communications are converging to deliver the promise of enterprise collaboration success. Organizations that miss this paradigm shift from transactional systems to engagement systems will face dire consequences. How can you ensure that enterprise social technologies will be embraced and adoption will be sustainable? With the increase in cloud computing and easy-to-use file sharing systems in the workplace, it's become increasingly difficult for IT departments to keep track and maintain a secure environment. When staff needs to access or share data quickly, they no longer need to rely on IT to provide the tools to do so. Why would they go through the red tape of IT procurement, provisioning, testing, and security when they can find a solution themselves in a matter of seconds? - How all of this information may be absent from aggregated capacity, secured content, usage, and other reporting at higher levels, which can complicate business decisions. Businesses today operate across more geographic boundaries than ever before and as data travels globally, a company's compliance, risk, and data governance obligations become exponentially more complex. Data moving across public and private clouds also increases breach risk, and compliance regulators can stop projects in their tracks - sometimes with drastic consequences to the business. How is information stored and managed in the cloud? A question every company should be asking when dealing with the privacy and security of information stored in the cloud. Join our panel of AvePoint experts, led by Dana Simberkoff, Chief Compliance and Risk Officer, to discuss data sovereignty and privacy in the cloud. With many factors to be taken into consideration, our panel offers tips and advice to help understand the existing or upcoming data protection laws in the EU and ways technology can keep your data safe in the cloud. Microsoft Ignite was the largest, most comprehensive Microsoft technology event of 2015 – filled with exciting new announcements about SharePoint and Office 365 from Microsoft and its partner ecosystem. Join us at 14.00 BST on Wednesday, July 15, for an interactive question-and-answer session that will help you craft a playbook to thrive throughout the next generation of SharePoint and Office 365. What does it mean to consume a technology “service” in today’s world? As a consumer, you can quickly download an app to cater to your needs. You take it for granted that your personal web mail is always available and constantly updated with new features. You can deposit a check, program your DVR, form and interact with social communities, as well as store and share huge amounts of files on cloud-hosted servers all with just a few flicks of a finger. With that in mind, slow-moving IT service delivery with a focus on IT’s priorities will not cut it any longer. If internal IT departments are to remain relevant today (and tomorrow), they will need to evolve their service delivery to meet the expectations and demands that users expect: a delivery model based on availability, self-service, agility and business-focused productivity while ensuring compliance with corporate and regulatory policies. In this session, we will examine the increasing sophistication of today’s corporate technology user. Then, we’ll suggest tools, concepts and processes that can help IT organizations adopt a more service-driven SharePoint offering driving productivity and governance. Information Governance has long been regarded as a key element of SharePoint Governance, but in large enterprises and global organisations it’s not as easy or as well understood as we may think and that’s just from the business perspective, technology solutions to information governance are even more complex than we think! •Tips and tricks to delivering SharePoint in complex information governance scenarios. Join John Hodges, AvePoint, as he explores how documents are available and accessible by the right people at the right time, and more importantly how to ensure they are disposed of properly and in accordance with applicable rules and regulations. SharePoint Roll-out and User Adoption in a Global Company. This session reviews the introduction of SharePoint at Johnson Matthey an international speciality chemicals company, founded almost 200 years ago in London. Introducing a new way of working into a global company with over 12,000 employees in 32 countries is always a challenge, when the software is SharePoint things can get complicated. We will focus on the potential challenges of introducing SharePoint on a global scale with an eye on a wide range of considerations including practical tasks that had to be completed before SharePoint could be implemented such as software upgrades and migration of content from network drives through to softer topics such as how Johnson Matthey approached marketing SharePoint to their users to raise awareness, this is not the easiest thing to achieve when your users vary from Senior Scientists to Personal Assistants. 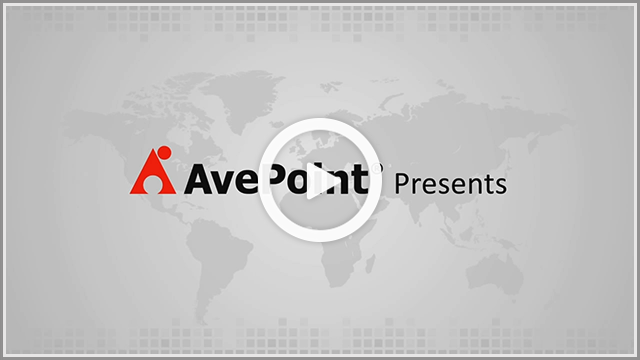 With AvePoint, the future of connected systems is here. With our experience increasing productivity, reducing risk, and lowering costs for thousands of enterprises and millions of cloud users, we’re bringing together once completely separate communication platforms through business applications that meet your needs. Whether you’re powering a mobile workforce or just trying to run more efficient meetings, AvePoint helps you transform collaboration and drive your business forward by connecting your enterprise systems.